For the last few weeks, I’ve been sharing some of the holiday traditions in our home. My family holds our traditions dear, perhaps stubbornly so. Goodness, I’m rejoicing this year they will allow me to substitute Brussel sprouts for the corn on our traditional Christmas dinner menu. I wanted to drop the mashed potatoes, but I think that might be pushing it! Not all of our traditions were handed down from earlier generations. Many developed within our family over the years. I’m not sure how many times something new happens before it becomes a tradition. One new Christmas tradition I would have enjoyed with my family if they were younger is that of The Elf on the Shelf based on a book by Carol Aebersold and Chanda Bell. 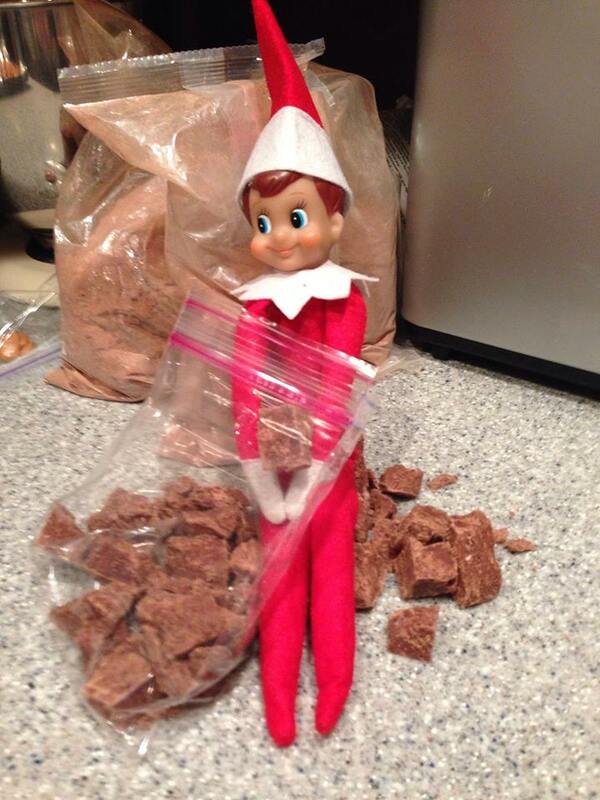 Each year for the time between Thanksgiving and Christmas, an elf comes to visit the family. His or her purpose is to watch over the children and report back to Santa on who’s been naughty and who’s been nice. 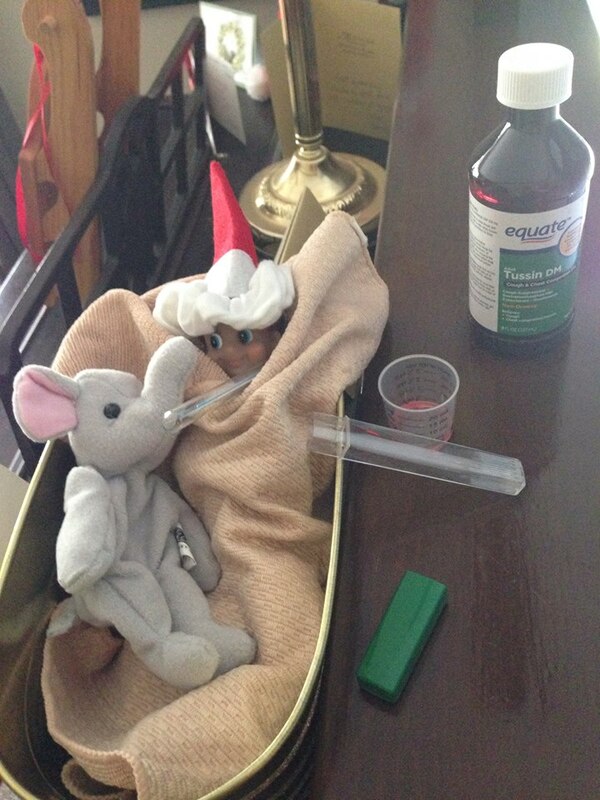 At night, the elf flies to the North Pole and then returns by morning. I have a friend and colleague who has such an elf in residence this year. Michelle Beckman and her family named their elf Felix after her grandfather who died while her father was still a boy. Felix has a penchant for adventure as the family finds each morning. 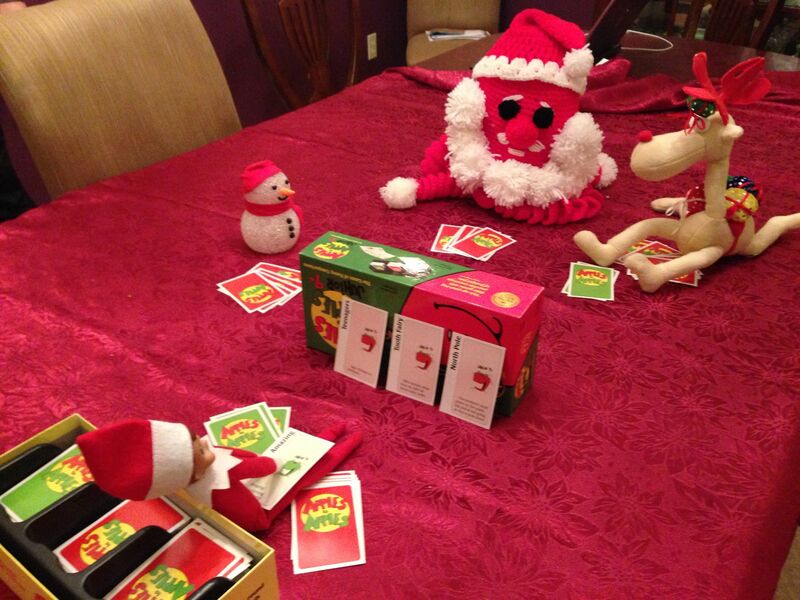 One morning the family found Felix had rounded up a group for a friendly game of cards. He apparently has a sweet tooth. Recently, that nasty flu bug going around got the best of Felix. I’m sure the Beckman children will enjoy the adventures of Felix for years to come. When they are grown, they will have the special memories of his exploits and the love that went in to the making. They may decide to carry the tradition on with their own children. Often, when we create traditions, we do it in the here and now, not even realizing the memories we are creating. Photos courtesy of Michelle Beckman and her family. Used with permission. This entry was posted in Family, Holiday, Home, Love, Memoir, Memories, Personal History, Stories, Traditions. Bookmark the permalink.